Kevin Butler’s awards speak of the magnitude of his career. He was named to the Sports Illustrated All-Century Team, the Walter Camp Foundation All-Century Team and the American Broadcasting Company All-Time Team. 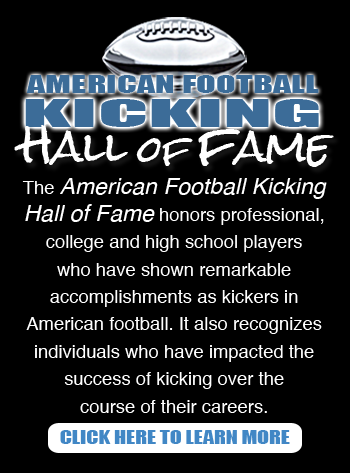 He was also the first kicker ever inducted into the College Football Hall of Fame and kicked for the famed 1985 Super Bowl-winner Chicago Bears team. 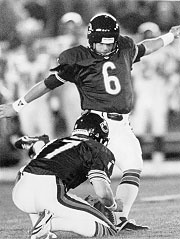 Butler kicked three field goals in the Bears' 1985 Super Bowl victory. Butler kicked 77 field goals and 122 extra points, a total of 353 points while at the University of Georgia. 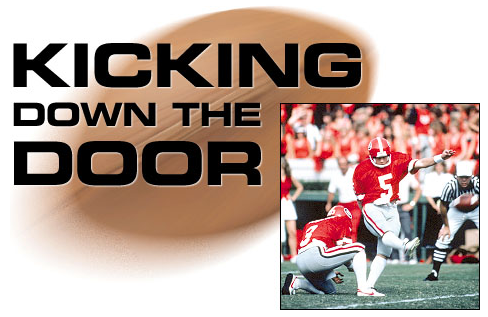 In his four years, 1981-84, Georgia had a 38-8-2 record, was in two Sugar Bowls, one Cotton Bowl and one Citrus Bowl. His accuracy on attempts 50 yards or longer, 52.4 percent, was an NCAA record. His longest goal was 60 yards against Clemson in 1984. This kick decided the game for Georgia 26-23. He had other goals 59, 53, and 52 yards. He was 122 for 125 on extra points and 77 for 98 on field goals while at Georgia. Butler’s NFL career was from 1985-97 with the Chicago Bears and Arizona Cardinals. In 11 seasons with the Bears, Butler became the team’s all-time leading scorer with 1,116 points, surpassing the record held by Walter Payton. Butler was a rookie on the Bears Super Bowl team in 1985, kicking three field goals in that Super Bowl. Click on the image above to see the feature on Butler done by the University of Georgia.